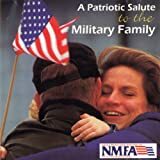 "The Stars and Stripes Forever" is a patriotic American march widely considered to be the magnum opus of composer John Philip Sousa. By act of Congress, it is the National March of the United States of America. 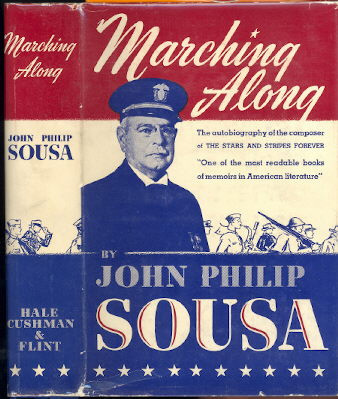 In his autobiography, Marching Along, Sousa wrote that he composed the march on Christmas Day 1896. He was on an ocean liner on his way home from a vacation with his wife in Europe and had just learned of the recent death of David Blakely, the manager of the Sousa Band. He was often quoted as saying that "The Stars and Stripes Forever" was born of homesickness. He composed the march in his head and committed the notes to paper on arrival in the United States. It was first performed in Philadelphia on May 14, 1897, and was immediately greeted with enthusiasm. For twenty-five years Sousa's Band played the march at almost every concert it held. Although the piece is always played as an instrumental, Sousa did set words -- somewhat triumphalistic by today's standards -- to it.